There have been some amazing research based on the benefits of fasting. Keep reading to know how you can find out the latest news on fasting for 2019. Fasting is an ancient healing strategy used since the beginning of mankind during the times of scarcity of food and, that situation forced the bodies of our ancestors to adapt and evolve. Today, in the 21st century, we are going back to practicing this ancient strategy for healing our bodies in the most natural way. Keep reading to find out how you can learn how to benefit from fasting. What is the Fasting Transformation Summit 2019? 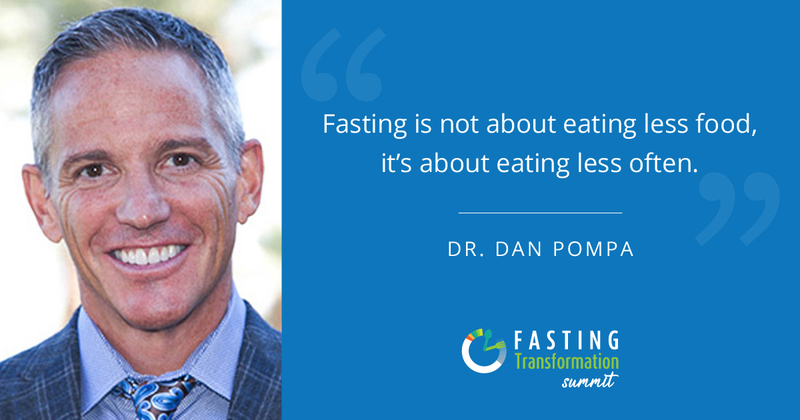 The Fasting Transformation Summit 2019 ~FAST19 is an online event where many experts from around the world are going to be explaining the benefits of fasting. What are the main benefits of fasting? Fasting transforms the health of every cell in your body. There are many benefits of fasting that you are going to learn by attending the summit. 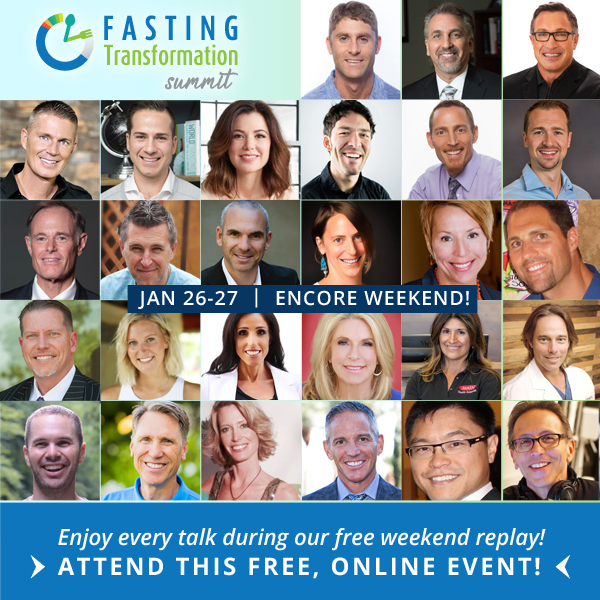 When is the Fasting Transformation Summit 2019? 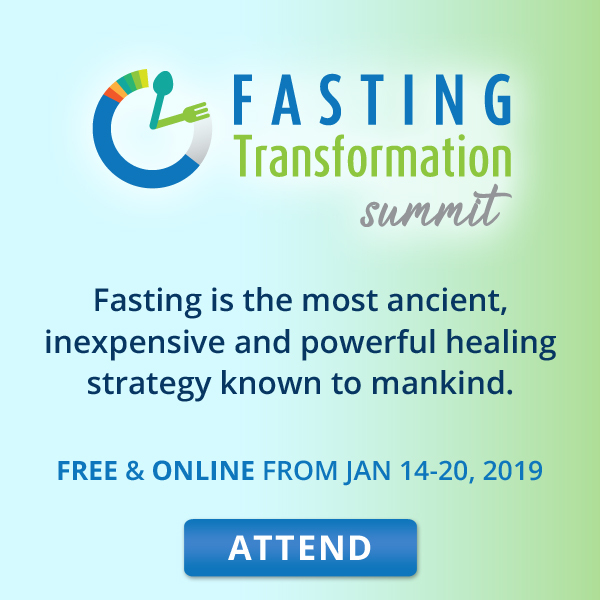 The Fasting Transformation Summit is free online from January 14-20, 2019 at 10 am US Eastern time. The presentations will be online and free those days and each day at 10 am a new set of conferences will appear for you to enjoy. 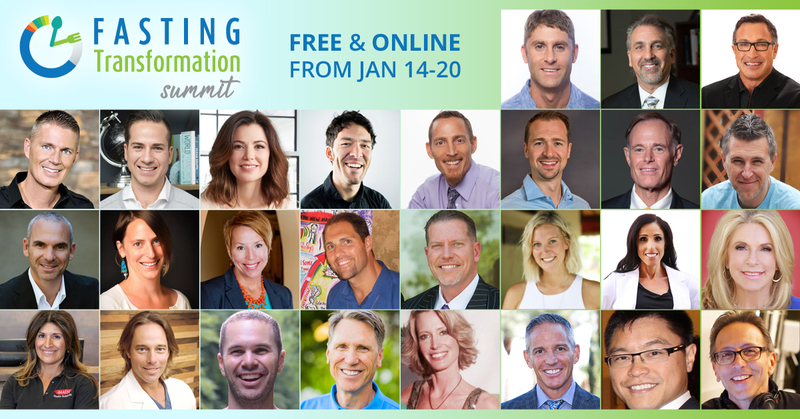 There will be an encore weekend from January 26-27, 2019 where you can enjoy the summit free online again just in case you missed any of the talks or you would like to watch them again. After those dates, the summit will be available only through purchasing the talks online so, I encourage you to take advantage of this great opportunity to watch the experts talks online free. Of course, if you are very interested on the topic and want to watch the talks at your own pace, you can always purchase the talks anytime whether it is previous to the event or after the event is over. How to attend the Fasting Transformation Summit 2019? To be able to attend the Fasting Transformation Summit 2019 ~FAST19, you just need to register with your e-mail address for free. You don´t need to give your credit card number neither any other personal information. You can watch the video talks on your computer desktop, laptop or any mobile device that supports videos. Every day the video talks are open from 10 am US Easter time to 10 am US Easter time the next day. Each day a new group of video talks is opened to view and the ones from the day before are closed so, make sure to check out the schedule so, you can watch the video talks that are the most important to you. 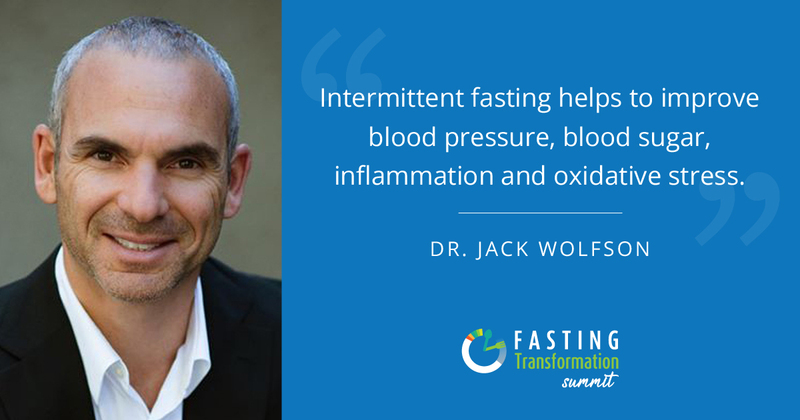 Why attend the Fasting Transformation Summit? Fasting is a powerful ancient strategy that can transform the health of every cell in your body. 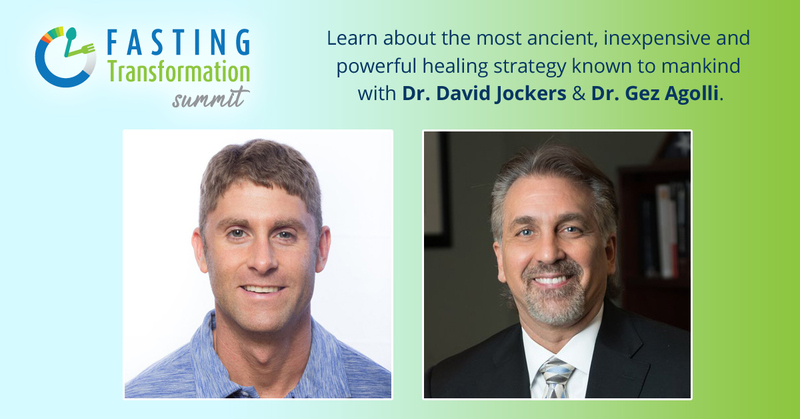 Attending the summit you will learn the latest news on fasting because you will have access to the latest research based information on the benefits of fasting such as the concept of Autophagy for instance. Autophagy is a cleansing cell mechanism that the body uses during fasting where the immune system uses deteriorated cells as fuel for energy to form new healthy and stronger cells. You will learn how the ketones that are produced during fasting are key to our brains´ health and to reduce inflammation in our bodies. People pay millions of dollars for rejuvenating techniques and stem cell regeneration techniques, you will learn the latest news on how fasting is a natural and healthy strategy anti-aging and stem cell regeneration. There will be many worldwide specialized experts on fasting so, it´s a great opportunity for you to ask questions and to make comments to the experts in all the video talks. Fasting is a healthy strategy that doesn´t cost anything and has the potential to heal every cell in your body. However, It´s very important for you to get well informed and to ask your physician before attempting to do any fasting strategy specially if you have any health condition or are receiving any type of medication because fasting is not for everyone. Most people can fast without any problem but, there are some medical conditions where you shouldn´t fast so, it´s better to do it under medical advice and supervision if necessary. 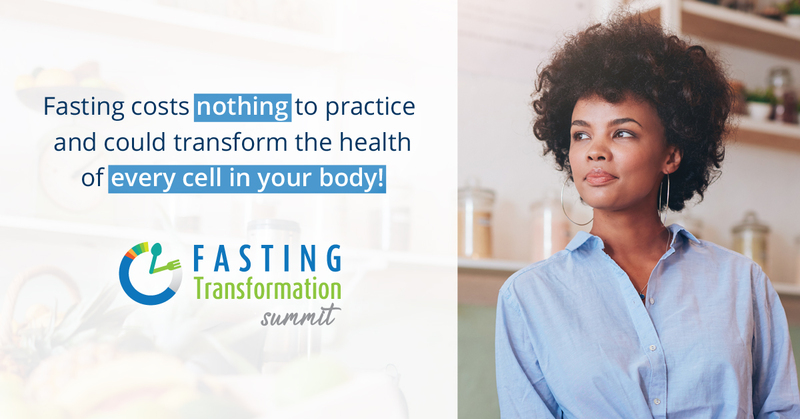 Attending the Fasting Transformation Summit is a great opportunity to learn the latest news on fasting and how to apply fasting in your healthy lifestyle. If you have any questions or comments on this topic please, feel free to leave them below and I´ll be happy to help you. I have never actually fasted in my life so far. But this article has so many wonderful explanations about why fasting is important and how beneficial it can be for the human body. I learned a lot about fasting and how it is essential. Also, I learned about the Fasting event. I will be more than happy to try that out. Thank you so much for posting this. It was easy to read and understand the article. Excellent article. I love that you posted about a free offer, and discussed that, before the paid option of keeping them. You really seem to want to find good resources for your readers that way, even monetizing your site. As for fasting, I’ve heard of some of the benefits and it’s definitely an idea. My only concern is the sale pitch this summit makes claims for. They are pitching it as a miracle cure all for mood, diabetes, and even anti-aging! That always flips my skeptical personality. I’m sure there are excellent benefits to it. Just don’t believe in all they claim. That said, it tempts me into signing up just to see if they site specific research articles or studies. If I wasn’t so busy, I very well might do it. There’s nothing better than free! Still, the article drew me in right from the start, so excellently done! I agree with you, I never thought that fasting could bring so many benefits for the health of our body. When I started researching on the topic I was so surprised on the healing effects of fasting in every cell, system and function of our bodies. Medical research moves so fast on these days that, we have to be very enthusiastic and responsible to keep up with all the research findings and new information. 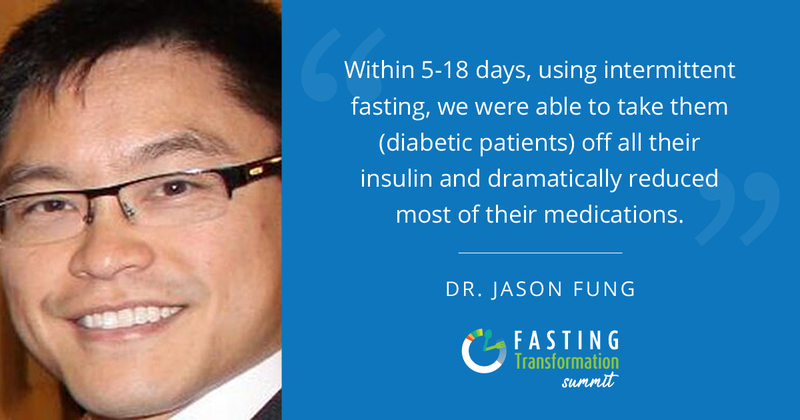 As a person who struggles with Type 2 Diabetes, I am very interested in the fasting summit. I signed up after I saw the info from Dr. Jason Fung that using the intermittent fasting they were able to take their patients off of insulin and drastically decreased their other medications. Since I was first diagnosed with type 2 I have longed for a solution other than medications. I am hoping to see some beneficial information from this. Have you done intermittent fasting? What benefits have you personally seen? Thank you for sharing this information! To answer your question, ever since I researched and learned about the benefits of fasting, I personaly have been practicing intermittent fasting every day. The results of intermittent fasting for me have been amazing! I was able to bring down my insulin levels to normal levels after just one month of doing intermittent fasting. I´ve had high insulin levels from many years ago and I couldn´t get them down to normal values even though I took my treatment every day, ate a healthy diet and practiced exercise regularly. For me doing intermittent fasting was the most effective aproach to normalize my insulin levels. If you are on diabetic medications, remember to consult your physician before doing fasting because he will have to adjust the treatment. Hi Veronica – this was a very interesting article. I remember my Grandmother used to fast once a week, but I never really knew or understood why she did that. I was surprised to learn about the Fasting Transformation Summit. I had no idea this was such a hot topic. I also was not aware of all of the benefits of fasting, that’s amazing. This was a very intriguing article and I may have to look into what my Grandmother had been doing over 30 years ago. I find it so interesting how many different people out there constantly promote fasting. I tried to do fasting years ago and it was not pleasant. I don’t know if I was doing it wrong or what but I almost passed out while walking to a class on my second or third day. I haven’t tried again since. I’m still not sure if I think this is something that does what people claim it does. However, I’m glad you mentioned this fasting summit. This might be a good way to see what science there is to back these claims. Thanks for the info! Remember that when starting to fast, it has to be done progresively, starting from one or two days a week, 12 hours overnight and as the body gets more fat adaptive, you can slowly increase the overnight fasting hours. It´s nor recommendable to start with a 24 hrs fast for instance because if your body is not fat adaptive yet, you are going to feel really bad. Also, i recommend to start fasting when you are not very busy with work or studies, it´s better to start to do it only those days that you are more relaxed or at home, maybe on a weekend. If you are healthy, you can fast but, if you have any health condition, it´s better to ask your physician before attempting to fast. This fasting transformation summit, I think, I will definitely recommend to my friend who is obese and feels reluctant or should I say: shows little effort on working on himself. I do believe this summit on your post will work for him because I have read much about Intermittent fasting, as a type of diet where you eat within a specific period of time and, you fast the rest of the time. Is this going to work for him? Intermittent fasting works really well for obese people. You can give the following link to your friend where I explain what is fasting, how it should be done and what are the health benefits of a fasting lifestyle. OMG I am so excited. I have been wanting to fast, and a friend of mine is “biblically fasting” through our church with the pastors group, and she is loving it. She said she feels amazing, so I am going to look into this. I downloaded the free info through the link. It started yesterday, but that’s ok, I think I can do it whenever. I want to get prepared, lol. I see all the benefits of fasting, and I honestly can’t wait to try it and see how I feel. Thanks for the push and the great great information.